I have a WD 500GB external hard drive. It was working normally a couple days ago. I was using it minutes before it stopped working. It was working on one computer and then when I plugged it into another computer I got nothing. 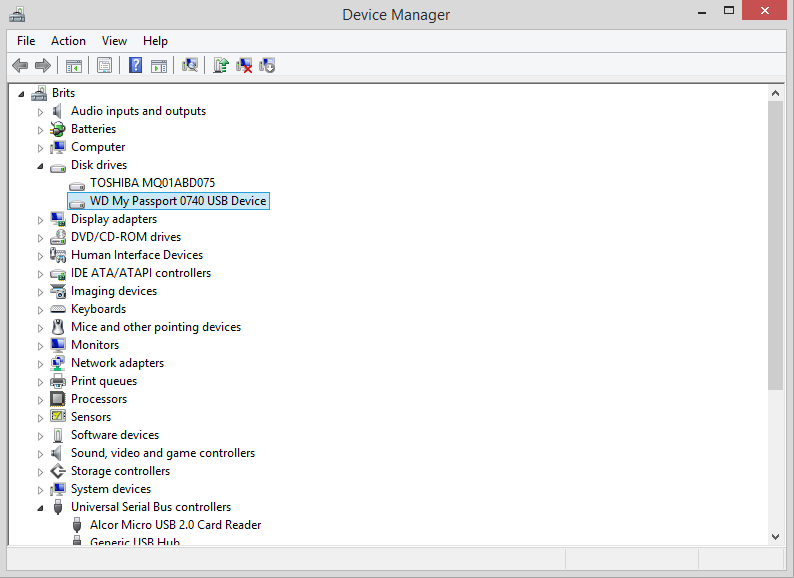 Now when I plug it into any computer it shows up as being plugged in, but not under "My Computer". 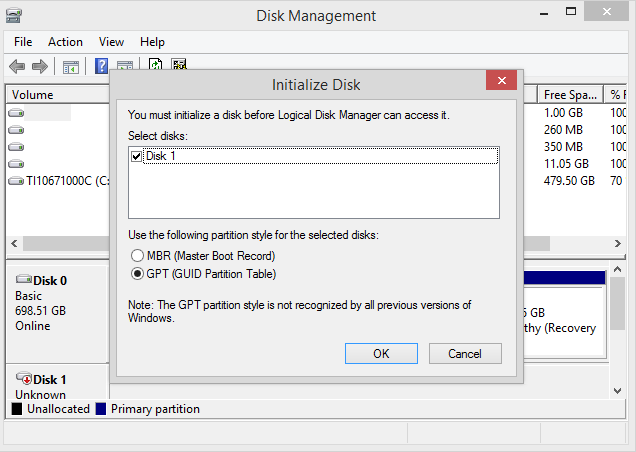 When I go to disk manager it says the drive must be formatted. I tried running a trial version of another recovery software WD recommended, but got an error, including one about mismatched geometry. 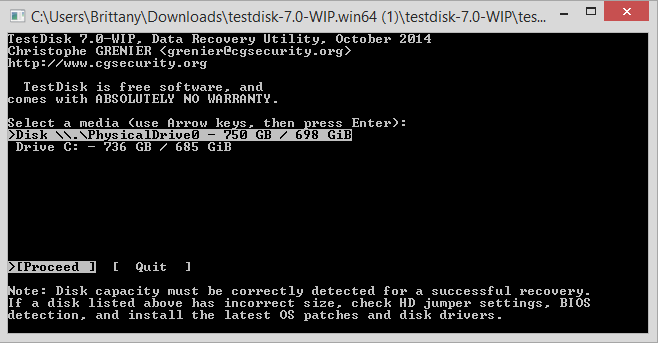 That is when I found TestDisk. I downloaded it and ran it, but my external drive doesn't appear, only my internal drive. I wanted to see if I could try and fix the geometry. Anyone know why it might not be showing up in TestDisk? So, I got the files professionally recovered. A lot cheaper to do where I am now than back in the states. When I got the drive back I plugged it into my laptop to find that it was working normally! Then it accidentally came unplugged and has been converted to RAW. I am not worried about losing the files as 100% of it was recovered and is safe. I was wondering how to repair the RAW issue. I was hoping to use it to transfer a few big things to my computers at school. Really great you have your files back! First of all, I'd suggest you download the WD Data Lifeguard Diagnostic tool (http://support.wdc.com/product/download ... 10&lang=en ) and run both Quick and Extended test in order to check the health status of the drive.